The Federal Communications Commission Wants To Help People? What? The Federal Communications Commission may just help out the customers for once. But why? It has taken quite a while but if recent reports in the media are to be believed then the FCC will actually expand competition rules which might end up benefit the end-users. On the flip side though, it could lead to less local regulations as well. Landlords and broadband internet service providers aren’t exactly known throughout the world as friends. The internet users to pay for their services. With that, it is also common knowledge that exclusive deals betweens players such as landlords and broadband internet service providers don’t always work out in favor of internet users. But that is interesting because of another reason. See, you have these rules and regulations. Believe it or not but these rules and regulation are supposed to safeguard consumer interests. By limiting such exclusive arrangements between landlords and broadband internet service providers. In an unexpected twist, is the Federal Communications cOmmission that has initiated an inquiry and has asked questions about its role in the whole process. More like, it has asked concerned parties whether it can contribute more to put an end to deals that hinder broadband competition. Of course, the FCC isn’t going to take any action against the overall broadband competition in the country. The only broadband competition the FCC is interested in is the one that exists inside condominium buildings and apartments. Ajit Pai who is the current Chairman of Federal Communications Commission released a draft (of sorts) a couple of days ago in the form of a Notice of Inquiry. This Notice of Inquiry is supposedly released so that the FCC can seek public comment on the various ways it can facilitate more consumer choice. The NOI will also help the FCC understand how it can improve broadband deployment in environments such as MTEs (Multiple Tenant Environments). The voting from the commission is scheduled to take place on June 22 in an official meeting. After the NOI vote, it is expected that the FCC will tend to public comments before it actually decides if it wants to come up with new rules to protect consumer interests or take any other form of legal action. How is it possible? Why would the FCC want to protect users against ISPs and landlords? President’s Trump administration isn’t that far off from total chaos. Some critics are already looking at the possibility of impeachment. But that is just the stuff of dreams. Regardless, Trump’s FCC is different than before. There is no telling on what it can and can’t do. Hence, we think that the FCC’s decision regarding the June 22 vote could lead us in several directions. Just so that we’re all on the same page, the NOI does not have a specific proposal. More Like, it asks possible suggestions regarding actions that the FCC can take to safeguard consumer interest. But we all know that Ajit Pai has done exactly the opposite of that since taking over FCC. He has aggressively eliminated regulations on an industry-wide basis. So what possible good can come from the NOI? Some of our readers might not know this but the NOI does another thing which is pretty interesting as well. What we mean to say is that the NOI tries to bring attention to the possibility of preventing the state and/or local regulations (city scale regulations) that block market entry or enforce excessive and taxing infrastructure access requirements to private companies. The Notice of Inquiry also talks about taking action to prevent local rules that may directly forbid or even have the eventual effect of forbidding the due provision of modern telecommunications services. Of course, we’ll remind our readers that the NOI is only discussing about the telecommunication services that exist in multiple unit buildings and not in the general sense of the world. The NOI could lead to a point where one particular San Francisco regulation, which was actually designed to increase broadband competition, gets blocked. How did that ONE San Francisco regulation ensure a boost in competition? It ensured that by expanding the present access to wires inside the concerned buildings. Of course, it is still too early to say if the Federal Communications Commission really wants to take action to prevent state and/or city rules. In fact, no one really knows which or what kind of authority the Federal Communications Commission is likely to use to achieve its purported objectives. The Notice of Inquiry could actually lead to an unexpected expansion of Federal Communications Commission rule as well. 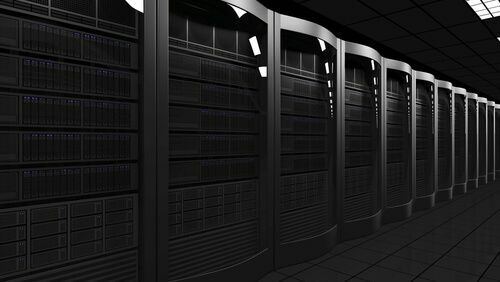 Because it seeks a comment on whether the Federal Communications Commission should come up with new restrictions. Like, restricting exclusive marketing arrangements along with bulk billing arrangements between building owners and companies. The Notice of Inquiry goes even further. It also seeks a comment on how exclusive wiring arrangements along with revenue sharing agreements between broadband internet service providers and multiple tenant environments may affect competition in the broadband industry. The NOI also wants to address other non-contractual practices along with other contractual provisions that might impact the capability of broadband internet service providers to compete in multiple tenant environments. Moreover, the Notice of Inquiry also questions whether the Federal Communications Commission should support states and cities to embrace model codes that give rise to more competition. 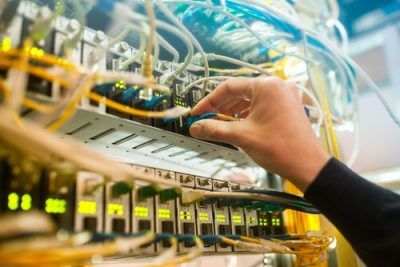 Again, the competition we’re talking about here is the competition that exists between broadband internet service providers in multi-tenant environments. Additionally, the Notice of Inquiry documents queries as to what practices the model codes discussed before should mandate and/or prohibit. Is It A Good Idea To Ask Federal Communications Commission Difficult Questions Now? Internet Service Providers don’t actually care about other Internet Service Providers. Phillip Berenbroick, who is the senior policy counsel at Public Knowledge, at consumer advocacy group told Ars Technica that it was probably a good idea for the Federal Communications Commission to ask these raised questions. He also urged the FCC to ask questions regarding the exclusive wiring arrangements. Philips believes these wiring arrangements tend to achieve the exact same outcomes that exclusive service contracts achieve. While giving an interview to Ars Technica, he also said that if exclusive wiring arrangements are brought to an end then there was still a potential to help the end-users. By ensuring that people who live in these multiple tenant environments, like condominium buildings and apartments, are not denied fair competitive choices. Fair competitive choices of what you may ask? Well, competitive choices for modern telecommunications services. Right now, the arrangement is as such that the owner of these buildings can easily cut a deal with the incumbent broadband service provider. As you can probably imagine, this denies the residents of these multi-tenant environments their due right of more choice. But the Notice of Inquiry could have larger consequences. It could not only affect condominium buildings and apartments, but also shopping malls along with cooperatives. Multiple individuals and/or entities that occupy cooperatives sometimes also get denied their due competition choices. How will the Federal Communications Commission impose these new regulations? Well, that is an another question with an open answer on itself. We know the FCC is trying to reclassify broadband internet service providers. In fact, the decision is in pending state. What the NOI asks the FCC is how this situation will affect the Federal Communications Commission’s authority from a legal perspective to address competition and broadband deployment in multi-tenant environments. We know that under Title II of the Communications Act, internet service providers are classified as common carriers. Ajit’s wonder plan proposes to eliminate that classification and undo more net neutrality rules. We also know that ISPs may well be able to escape the proposed status change. But the Notice of Inquiry document is asking something else. It wants to know whether the Federal Communications Commission will be able to use other sources of legal authority to efficiently regular MTEs (multi-tenant environments). Phillip Berenbroick has a clear view on the whole situation. According to him, the arrangement could not be more clear. The draft of the Notice Of Inquiry document, in its current form, would mean that the Federal Communications Commission will have to do some pretty uncommon things to achieve its objectives. Berenbroick says that it will need to go through some legal gymnastics to even out efforts to block unreasonable and unjust practices (that hurt broadband deployment and competition) with the FCC’s proposal to reclassify broadband Internet service providers as Title 1 information services in the ongoing net neutrality proceedings. Landlords want to make more money by striking deals with ISPs. The FCC says no. The Notice of Inquiry presents a bit of history of Federal Communications Commission in this particular area. The document notes that in 2007 and 2008 the Federal Communications Commission forbade broadband internet service providers from enforcing or entering into exclusive agreements to offer their services to customers in residential and commercial multi-tenant environments. 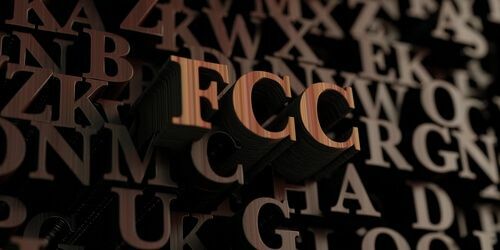 The FCC also barred telecommunications services providers and cable TV companies from enforcing or entering into the above mentioned exclusive agreements. What’s the bad part here? The bad part is that the new rules only imposed requirements on carriers. And not on owners of these buildings. All of that might sound reasonable. In practice, we know that owners of these buildings can and do prevent new internet service providers from installing their services. The owners block these new companies even when the residents of these buildings ask the owners to allow more competing broadband internet service providers. They only apply to internet service providers that are competing with internet service providers who are already serving customers who are residing in these multi-unit and multi-tenant buildings. Moreover, these FCC rules don’t take into account bulk billing arrangements and.or exclusive marketing agreements that may give an unfair advantage to incumbent internet service providers without completely shutting out competing Internet service providers. It is also interesting to note that the Federal Communications Commission also looked into the matter back in the year 2010 but did nothing about the issue. In other words, the Federal Communications Commission decided to not forbid bulk billing agreements. Back then, the organizations concluded that such billing arrangements, for the most part, benefited the end-users via operational efficiencies and reduce rates and also via improving broadband deployment. This is according to the Notice of Inquiry document. Moreover, the Federal Communication Commission also did not forbid exclusive marketing deals which are arraignment inside multi-unit and multi-tenant buildings. Because the Commission did not find any evidence that suggested that such marketing arrangements appreciably prevented or hindered broadband competition. Now the FCC’s stance has changed. To put it another way, now the commission wants to seek comment on whether broadband and tenant arrangement circumstances have altered since 2010. The FCC also wants to know if they have changed enough to warrant the Commission to revisit its decision eight years ago of not taking any action against bulk billing agreements and exclusive marketing arrangements. Incompas, which is a trade group that works to represent network providers who want to seek more opportunity to compete against incumbent ISPs claimed some time ago that some, not all, of such practices negatively affected broadband competition in the multi-tenant environments market. The Federal Communications Commission ‘s proposed Notice of Inquiry also asks how do these provisions affect competition between broadband internet service providers if at all. The Notice Of Inquiry document also says that Incompas told the Federal Communications Commission that exclusive access to inside building wiring indeed hampered broadband competition. As mentioned before, the Federal Communications Commission is also seeking a comment on the revenue sharing agreements. Specifically, the Commission is asking for those agreements in which internet service providers pay a part of the revenue to building owners in the form of a door free. The owners of these buildings, then, allow easier access to these internet service providers to the residents of these buildings. The Notice of Inquiry document also asks if these marketing agreements are causing problems even ignoring the fact that they are exclusive. Whether such arrangements raise the final price internet users have to pay is also something that the NOI document asks via a comment. Streaming Or Torrenting? What Does Hollywood Want?